While the appliances we plug into the wall have changed drastically, the power point itself has always remained functional and forgotten, until now. 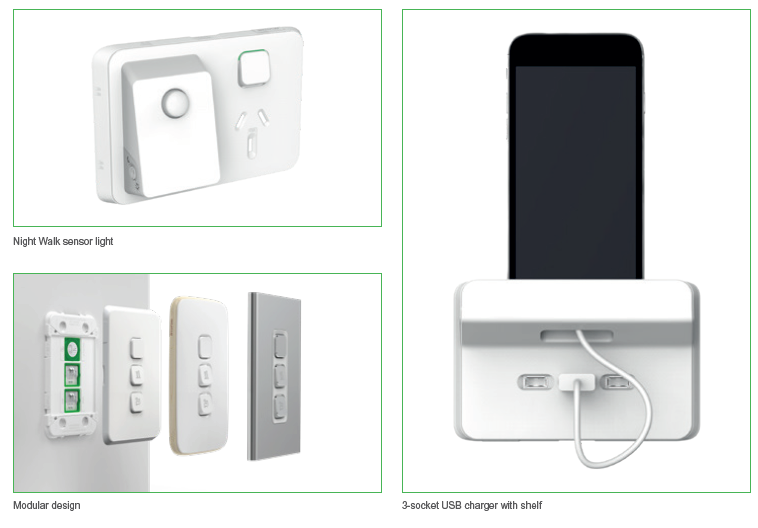 The Home Show has seen sockets levitate out of work surfaces, include multitudes of USB ports and become an integral part of smart home integration. Let’s highlight two exhibitors who changed the game with their innovative approach to electrical sockets. First-up is Point Pod which only arrived on the scene in 2018 and has been rising in popularity ever since. Simply tap the circle and a cylinder extends out of the work surface, like something out of Star Wars. The barrel contains power points and USB ports, perfect for charging your electronics. When you’ve finished, tap the top and watch the shape descend back from whence it came. Totally customisable, the Point Pod can be designed to match the design of your existing worktop. A workman drills a perfect hole into the bench top whether its stone or timber and inserts the mechanical device inside. A combination of carpentry and electrical understanding means only a qualified professional should install the equipment, otherwise, the warranty is void. While the units are not surge protected, they contain overload protection which trips in the event the device draws too much power. When something jams, the safety protocol immediately reverses whether it’s a (child’s) finger or a plug left in (dammit grandad). Inspired by the creativity of Lego, Clipsal has created not a one-off product, but a series of interchangeable components adding up to thousands of variations for your home. But don’t be overwhelmed by the complexity, simply choose what you need and the device comes pre-assembled ready for the electrician to fit. Once this is done, you can clip on different skins (like a phone case) to match your interior. That means when you redecorate, you can easily match the powerpoint. Styl is one such design range; a durable anodised aluminium that comes in three metallic finishes to clip-on. The Essence range of clip-ons comes with smooth wooden edges for that natural finish. There are 40 interchangeable mechanisms to choose from. Every living room or entertainment room needs smart connectivity to avoid wires spilling all over the place. Iconic can be customised for RJ45 networking, HDMI sockets and audio cable entry plates. How annoying is it when you go to the bathroom in the night but don’t want to turn on the lights because you don’t want to be blinded or wake everyone up. Instead, you fumble around in the dark, knocking into things like a bee trying to fly through glass. The Night Walk skin replaces a double socket and has sensors embedded and illuminates the path to the bathroom with LEDs. An extremely low energy Bluetooth connection offers a simple multi-control configuration to allow you to control dimmers, timers, switches and safety featured embedded inside.